More and more girls around the world are taking up nail art, trying it on themselves and on their friends. 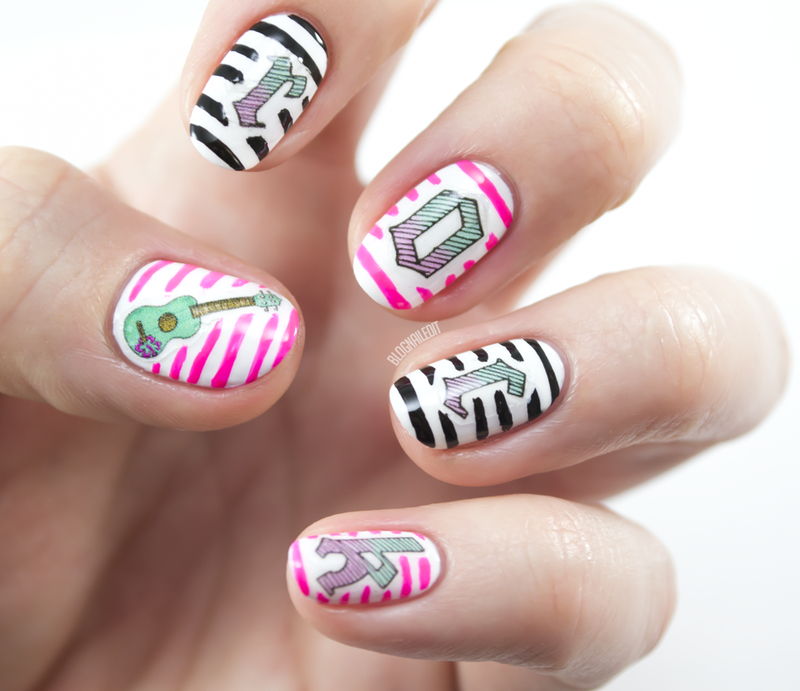 However, some people aren't ready to dive head first into freehand nail art. It's tricky and takes a ton of time and patience. So for the artsy lady, there's a simple and stunning solution...water decals! Just like temporary tattoos of your childhood, all you need is a little water to apply them. These decals are from a now-outta-business seller on etsy, called Nail Doodles. I was sent these for review but didn't post them before the store's owner, Abbie, decided to put the kibosh on the business. Don't worry though, a Google search for "nail decals" yields plenty of results if you're shopping for some. So how do you put decals on your nails? Each decal dealer has their own set of instructions specific to their artwork, but the same principal generally applies to them all. Cut out the decal of your choosing from the paper it comes on. Cut as close to the design as you can! Peel away the plastic from the front of the decal. Place the design face down on your nail, and apply a cotton ball soaked with a little water to the back of the paper. Hold it there a few seconds. 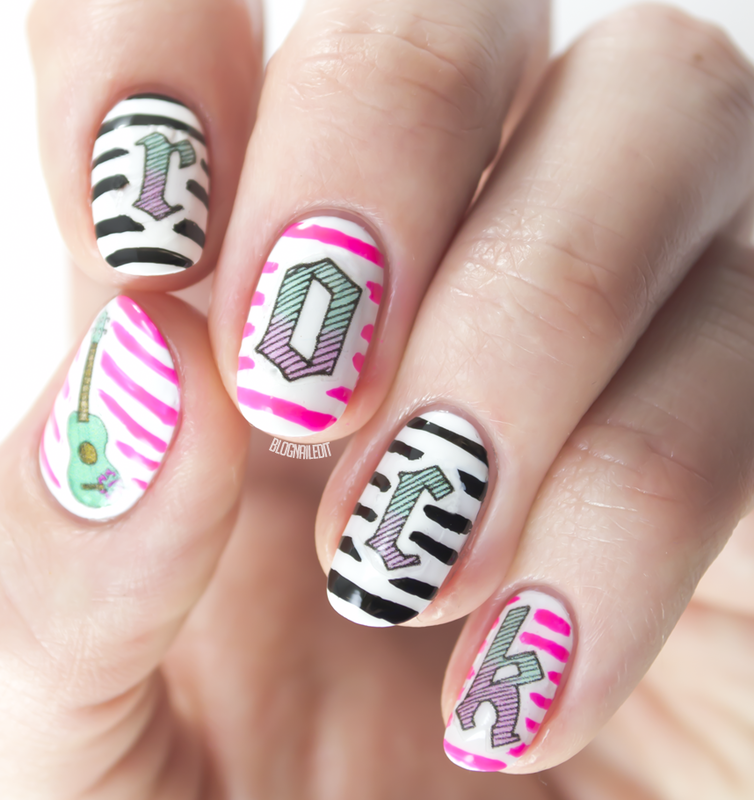 Peel back the paper, and the design should be on your nail. Top it off with top coat to keep the decal in place. Then go crazy with polish designs around it, like I did! So what if the guitar is actually a ukelele?! Ukelele's still rock!